For John the Baptist, this ultimate formula for greatness did not take many words. What's your formula? Paul told the Galatians that a similar formula was needed for them (Galatians 4:19). He told the Colossians that this is what he expended every ounce of his energy to have happen in the lives of Christians (Colossians 1:28-29). Paul told the Corinthians that this was what the Spirit was doing in their lives (2 Corinthians 3:18). So, don't you think that maybe this is the real formula for your life? 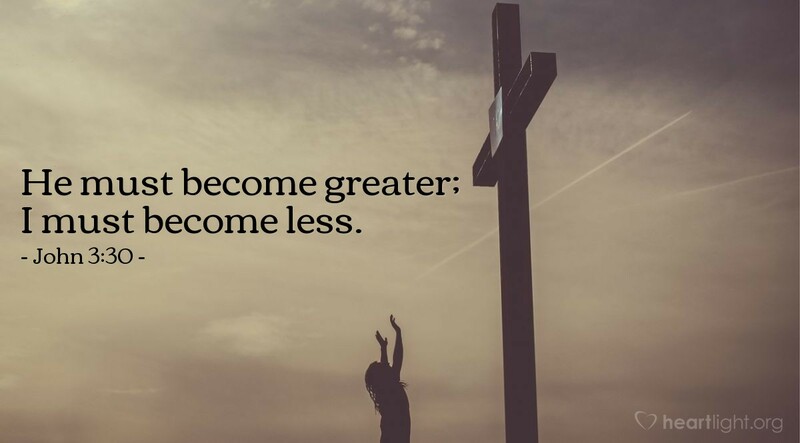 Dear Father in heaven, in my heart and in my life may Jesus become greater and I become less. In Jesus' name I ask it. Amen.